Many people find collecting vintage and antique cookbooks a fascinating hobby or pastime, and some prefer to collect old recipes using specific ingredients or for types of food. Yet others love the sheer historical significance of many of the recipes, and also the language that is used. While lovers of history may not be so much interested in tasting the delicacy concocted from “A Receipt For Dormouse Pye”, they would certainly avidly devour the language and how it was spelled in these bygone days. So collecting antique cookbooks with ‘recipe’ spelled as ‘receipt’ holds different forms of fascination for different people, although for each, the triumph in coming across yet another olde cookbook is worth all the searching and hunting involved in the chase. In general, books are never defined as antique, they are simply ‘rare’ although a collector of rare books is known as an antiquarian. Nevertheless, when referring to popular books on specific subjects, particularly crafts, pastimes and hobbies, including household books, anything over about 75 years could be referred to as antique, and vintage to anything 25 years old or more. 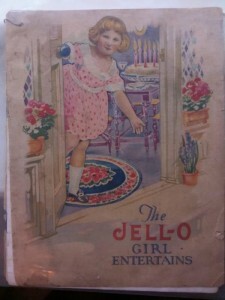 Many collect antique cookbooks in general, while others tend to specialize on specific types of recipes, such as recipes for vegetables, for beef or for Christmas cakes. Some collect cookbooks by particular authors, and other for specific ethnic foods, such as Japanese recipes or Native American recipes. In such cases they will devour cookbooks until they find the recipes they are seeking, and then copy them, because it is not the book they are seeking but the list of ingredients and instructions on how to combine them and cook them. Antique cookbooks, in particular, offer us an insight into the rudimentary nature of the equipment our forebears used, and how they often had to fly by the seat of their pants to get perfect results. There would be no cooking temperatures, for example, simply instructions such as 60 minutes in slow oven, or 20 minutes at the bottom of a fast oven. Imagine yourself trying to get good results with instructions such as these. 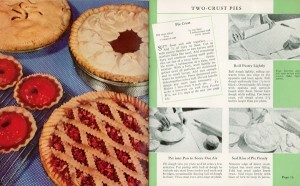 However, back to actually collecting antique and veteran cookbooks, and the recipes that they contain. Once you have started on your collecting, you may decide to specialize, and focus on specific ingredients, foodstuffs or even authors. As with the recipe-hunters, you will seek not individual recipes, but entire books based upon your specialty. Because of the large number of cookbooks and recipe books published over the years, this should not be difficult to do, but for the older cookbooks, you may also have to look in the right places. Sometimes yard sales and garage sales are good sources, in fact anywhere you would go to find old stuff in general. Old antique stores, the ones that look more like junk shops will be more profitable than carefully laid out antique boutiques with individual items individually displayed. No bargains there – and likely no cookbooks either! There are also many excellent old bookstores to be found, where everything looks old and dusty and is an absolute treasure trove for lovers of old antique cookbooks. 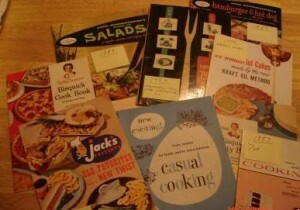 The Cookbook Collector and the Cookbook Collectors’ newsletter are also good sources. Fine: Again basically apparently unused, but perhaps a bit older looking through natural deterioration. The pages might be limper and the dust-jacket marked. (F, FN). Poor: Only of use as a reading copy: pages can be loose and the binding damaged. Some illustrations may be missing, and the cover could be badly damaged or perhaps even missing. No good for collecting, but fantastic for recipe-hunters because nobody buys them. Armed with this information, you can visit antique stores, attend auctions and leaf though the catalogs of up-market bookstores. However, you can also find a great deal online, and Alibris and the book catalogs of Amazon, Google Books and Apple’s iPad store can often offer some great deals on old cookbooks. Also check online for lists of antique cookbooks in the public domain. Collecting antique and vintage cookbooks is a fascinating hobby, whether you specialize or simply collect antique cookery books. You should have a long and rewarding interest and your family might also benefit when you try out some of your finds. Don’t forget to ask grandma about her cookbooks!